VPN’s protects your personal information online and promotes security/privacy in no small measure. With good VPNs, your online activities are secured, anonymous and saved from preying eyes. Your physical location or device hardly matters when you’re hooked up with a solid VPN service. You can unlock blocked websites, stop location monitoring services and prevent targeted malicious attacks with a strong VPN. All in all, Virtual private network (VPN) services is not a new topic to lots of 3ptechies readers. Hence, the reason we are going to dive into the list of 25+ Free VPN services that are actually free w/o many stories. VPN definition, types and characteristics is not part of today’s discussion, as we are more concerned with letting you know what best options are there for 100% FREE VPN services. Some people may ask – is it possible for one to see and use a completely free VPN with great features? Well, the answer to this question is yes and in this publication are the top best free VPN services to use in 2018. We’ll be listing the top best free VPN services for PC, Mac OS X, web browsers and Mobile devices. The top 15 section is well-used and tested by us, while the rest are provided to give you more options. Our first consideration for the top best free VPN services to use in 2018 is Windscribe. It gives you access to over 50 countries, including the United Kingdom, U.S.A, Hong Kong, and other European countries. This VPN software masks your real IP address and grants you unrestricted access to blocked contents across the internet. One of the best features of this VPN service is the whopping 10GB of data it gives monthly to its free users. It also has support for operating systems (OS). To wit; Android, iOS, Windows, and Mac OS X. Here comes a 100% free VPN with no monthly data limits. You can choose from 3 top-level servers with Proton VPN’s free plan. This VPN transmits your internet traffic via an encrypted VPN tunnel: This ensures your personal information is well safe and secured even over a public Wi-Fi. With ProtonVPN, you can get access to any blocked content or website within your country and across the cyber-space. It has support for Mac, Windows, iOS, and Andriod. DotVPN is no mean name in the world of VPN services that are 100% free. It lets you surf the internet with fewer worries. This it does by blocking tracker and analytics, integrating firewall, DDoS protection and TOR superior technology. Restricted from accessing some websites? or you are stuck behind a filtering web proxy preventing you from accessing a particular web page? Your-Freedom VPN is here to take care of such situations. Your-Freedom VPN lets you get access to inaccessible contents or web pages. It hides your real IP address from those hungry internet spies and/or malicious bots: Offering you a free and unrestricted internet surfing experience. Offers a completely Free VPN service. Comes with a solid firewall bypass and anti-censorship features. There are lots of server (including Tier 1 US, European servers) to choose from in the free plan. Connecting a PC to Internet via a Tecno Phone : How to do it? 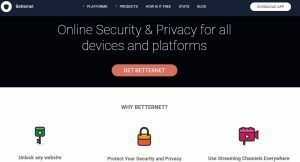 Betternet VPN is a completely free VPN service that lets you surf the internet anonymously. It ensures your online privacy by protecting your private information online. The most interesting thing about betternet VPN service is – its compatibility with all popular operating systems and internet browsers. BetterNet VPN is available for Apple iOS, Android devices, Windows PCs and Mac OS X machines. There’s also a free betternet browser plugin for Google Chrome and Mozilla Firefox web browsers. Get access to lots of streaming websites. Ability to unlock several video websites. This is another superb Free VPN software/app. SecurityKISS redirects all your data through an unfathomable tunnel to a secured gateway and gets your online communications (web browsing, e-mails, instant messages, VOIP, social networks) encrypted. It is fast, ads-free and 100% free. SecurityKiss VPN is generous with data and has support for all popular platforms (Including Windows, Mac OS X, iOS & Android). Free to download and free to use. Ads-free and instant account activation. Not only will your personal information be hidden by this software/app but also, you get to browse the internet anonymously; preventing your ISP and advertisers from tracking your activities on the web. Avira Phanton VPN works on all platform and can bypass web firewalls and geographical restrictions. It is owned and maintained by Avira Inc., the popular security app(s) vendor. Ensures your activities around the web remains untraceable. Lets you get access to restricted websites. Encrypts web traffic and internet activities. proXPN is another top VPN service that’s really FREE. It works well with internet browsers, email clients, instant messaging and utility programs. The free version of proXPN uses OpenVPN connectivity to creates a secure, and highly encrypted tunnel through which your online communications passes to and fro. 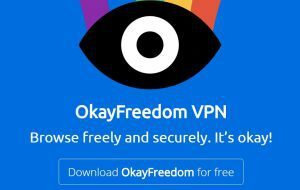 OkayFreedom VPN lets you browse the internet without restriction, unblock lots of video streaming websites and get access to locked contents on the internet. It has more than 7 dedicated locations (servers) which you can connect to and surf anonymously even as a free user. Looking for a free but premium VPN service? TunnelBear is a great choice for you. It is a free VPN service that’s available for PC and mobile users. It gives you a free access to surf and use your favorite internet browsers/online apps without logging your personal information. TunnelBear is easy to use and is really fast in operation. Ultrasurf VPN is one of my favorite free VPN service. It protects your online activities and keeps your personal information safe from preying eyes. With Ultrasurf VPN, you can get access to any blocked website and Bypass internet censorship without much hassles. Lets you access blocked websites in China, Iran, India and etc. Strong security using end-to-end encryption. hide.me VPN is a powerful VPN client that’s available for Windows, Mac, Android, iOS and Linux. It is fast, simple, and ensures greater internet security with its advanced security functions. This VPN has quite a lot of servers throughout Americas, Europe, and Asia. Lets you get access to blocked websites without compromising on your privacy. Hideman VPN is another decent player in the much-saturated space of Free VPN services. It lets you bypass government censorship, content restriction and blocked services. There’s a 2GB/month limit on the free plan, but with multiple server support. Free users can switch to any of the supported countries without challenges of any kind. 2GB/month limit for free users. FinchVPN is a top free VPN service with OpenVPN support. Apart from letting free users have access to OpenVPN technology, it also lets them use Point-to-Point Tunneling Protocol (PPTP) for a better private surfing experience. This software has its own unique way of providing online privacy for you. It combines both WiFi and Cellular data to establish a faster, secured, and reliable connection. The channel bonding technology lets you connect to multiple Internet connections simultaneously for their combined speed. Zoog VPN is another solid free VPN service with military grade encryption. It is fast and lets you gain access to Netflix, movie-video websites, and online gaming platforms. With ZoogVPN free services, there’s a 128-bit data encryption, zero-logging policy and a lot of servers to choose from. I hope you know that your PC has lots of your personal information stored in it? Starting from your download and browsing history to your financial information. So, SurfEasy VPN helps keep your information safe and untraceable. With this VPN, you can surf the web anonymously and without any limitation/restrictions. SurfEasy VPN is compatible with Mac, Windows, iOS, and Android. Not using a VPN service on your PC or mobile devices, will make it possible for your private information to be exposed to lots of unwanted persons such as: advertisers, spammers, ISPs and sometimes malicious hackers. Zenmate VPN lets you secure and hide your personal information while surfing the internet. It grants you access to blocked contents and does not log any of your activities. Compatible with Mac, Windows, Chrome, Mozilla Firefox, Opera, iOS, and Android. Hotspot shield lets you bypass firewalls, gain access to blocked contents, and restricted websites on the internet. Their free VPN service is solid, but heavy on ads and extremely annoying pop-ups. Compatible with PC, Mac and mobile devices. VPNbook is a 100% free VPN service that promises a fast and secure internet surfing with zero logging policy. It is compatible with Mac, PCs and mobile devices. Unblocks any website and bypasses web firewalls. 100% free as there’s no premium version. No registration needed; uses PPTP and OpenVPN. Not only does Holla VPN offer uncensored and secured internet browsing but it also comes with Ad blocking function. With this free VPN software, you can seamlessly stream videos on any video streaming website without restrictions. Hola VPN is free for non-commercial use. If anyone wishes to use it for commercial purposes, they are normally advised to go for their paid plans. Compatible with smart TV, smartphones, computers, laptops, routers, PlayStation, and etc. SigaVPN is a completely free VPN service and it doesn’t log your internet activities. This VPN service helps secure your personal information from hackers, harvesters and internet fraudsters. With this VPN, you can unblock websites and get access to blocked contents on the internet. Anyone can experience swift and secured internet surfing experience with the Panda free VPN service. Panda VPN hides your IP address away from preying eyes, government censorship and internet fraudsters. It also gives you access to lots of streaming websites with only 150MB/day bandwidth restriction. Limited to 150MB data transfer per day. Fast and from a trusted internet security vendor. I’d have added a single VPN app here to close this list, but would prefer giving more options to our readers. This is because every person that’s searching for a free VPN service usually have his/her reasons. While some needs it to check simplest things such as flight booking from a restricted location, others needs it to bypass censorship or to surf from a public Wi-Fi. Irrespective of the reasons, these few options would come in handy for private browsing from a restricted location and/or internet source. They includes: web proxy, TOR and few more suggestions for better private browsing experience. This is a superior free web proxy tool with popular internet browser‘s extensions. There’s also a portable version for windows machines. Kproxy, just like normal VPN clients lets you get access to blocked websites through an anonymous server. It helps keeps your personal information secured and free from preying eyes. Bypasses any network filter or censorship. Tor is free software for anonymous communications through the internet. It helps keep you protected from internet traffic spies. Tor directs your internet traffic within a free overlay network with over 7000 relays to keep your location, data, and information untraceable. It is not really a VPN service per se, but a superior anonymizer that lets you maintain your privacy and keep your details away from prying eyes. It is 100% free and comes without bandwidth limitations. Browsec VPN is a versatile privacy app with plugins for all popular internet browsers. It is available for PC, android and iOS devices. Browsec VPN lets you browse safely while traveling and comes with superior anonymization technology. I have used their mobile apps in the past and really enjoyed the free VPN features. While we do agree that paid VPNs are the real deal for businesses, the free VPN services listed in this publication really works. We’ll recommend you use the free services of whoer.net and whatismyip.com to check for DNS leakage, IP blacklist and other important VPN variables before sticking to a particular free VPN service. Recall that our list is limited to VPN services that are actually 100% free and few privacy tools that are not really VPNs, but helps protect your online privacy. Did we miss any of your favorite free VPN software? Please do share with us in the comments section below. I think it’s time I should start using VPNs.